Great food, excellent service and good value are not enough for restaurants to succeed in today’s economy. We applied our knowledge and experience in this industry to create a back-office management and financial reporting system for restaurant owners. A financial reporting systems in place that allow you to identify negative trends. 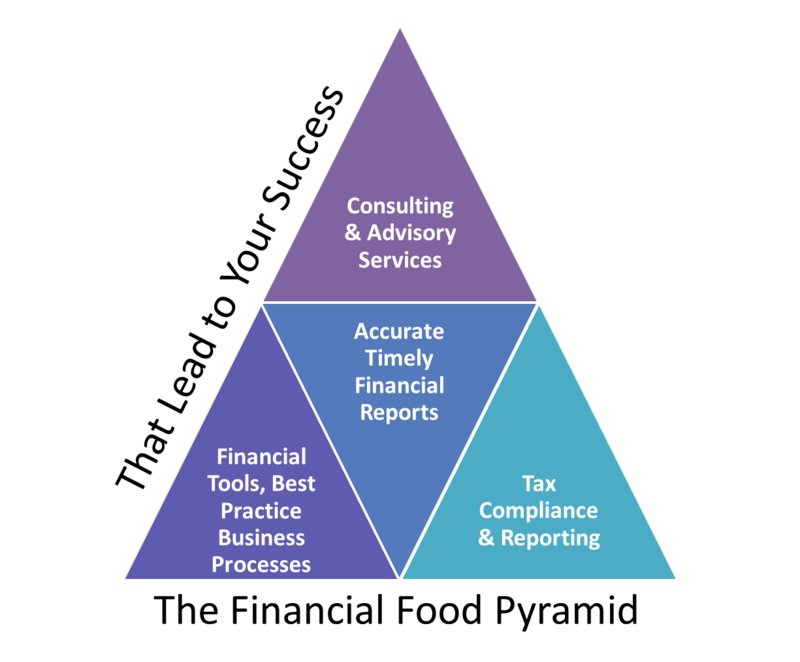 With our comprehensive financial reporting package you have the information to implement corrective actions before they become a major problem that cannot be corrected. Controls in place that minimize embezzlement, theft or fraud. Access to an expert business adviser to work with you to implement restaurant-industry Best Practices that enable your restaurant to operate at peak efficiency and maximize revenue. Peace of mind while minimizing stress and resources related to any audits. We help you implement controls, systems and business processes to comply with tax and labor laws. If you are audited you have the systems in place and information available that expedites the audit process. For most sales tax, payroll tax or workers compensation audits we handle in our office. The benefit of saving money on fines, and interest resulting from being in non-compliance with tax laws. Access to a tax expert and CPA to minimize your tax burden by using the most effective tax strategies that minimize taxable income. This can include helping you with business structure, income compensation, depreciation strategies, income shifting strategies and other legal tax compliant strategies for minimizing taxable income. Workforce management tools and resources to save money on labor cost and more effectively manage your employees. Access to a expert business advisers and CPA that can help you implement restaurant-industry Best Practices, provide guidance and counsel to help you manage your restaurant more effectively and realize more net income. An easy to use cloud based financial accounting and bookkeeping system. 24/7 access from anywhere in the world to monitor and control what is happening with the accounting and bookkeeping for your restaurant. Secure storage and redundant backup of critical financial reports with secure 24/7 on-line access. Workforce management system that will result in labor cost savings, reduction of internal resource requirements for managing payroll administration, fewer payroll processing errors, ability to minimize overtime pay, flexible reporting functions so you can readily show compliance to labor laws such as the Affordable Care Act and FLSA overtime laws. All inclusive premier payroll package with full tax compliance and reporting. Full service sales tax reporting and compliance. Access to full HR Support to help with labor compliance, creation of Employee Handbook and other custom policies and procedures to help you manage your workforce and stay in compliance with labor laws. Pay-As-You-Go Workers Compensation review and advisement to save you money and more effectively help you manage your cash flow. Custom designed monthly financial reports that conform to the Uniform System of Accounts for restaurants. Based on conversations with numerous owners of restaurants many do not understand how the Tax Tip Credit works or who is eligible. Many owners do not take advantage of the tax tip credit and needlessly pay thousands of dollars in additional taxes. Download our FREE Tax Tip credit and stop paying more in taxes than you need to! For more information about bookkeeping services visit our bookkeeping for restaurants page.